In August I read Taking of Chelsea 426 also from David Llewellyn, which I really enjoyed, and now after a lot of starts and stops I have finally finished Night of the Humans. The time it took me to finish the book is no fault of the writing it is because I have so many books and projects going on, oh yeah, and a new baby at home. 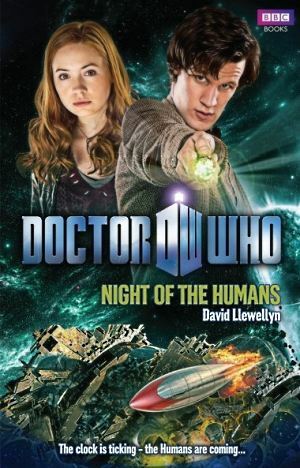 Night of the Humans puts the eleventh Doctor and Amy Pond on a planet made of trash inhabited by a team Sittuun and a camp of Humans. The Sittuun have come to destroy the planet before it is hit by a comet that would result in the destruction of many surrounding planets and the loss of millions of lives. The humans believe they are living on Earth and wont listen to the Sittuun declaring them enemies. Like all of the new Doctor Who books, Night of the Humans is paced like an action movie without adding a lot of depth to the characters. The nail biting ending is very “Doctor Who” and stays very true to the history of the series. David Llewellyn has a lot to be proud of with this story. I rate this book an 8 out of 10 and think all Doctor Who fans would love it. The pacing in these books is very similar, there is a lot of great action with a little bit of character building in each one to keep them growing. I really appreciate that about this series, none of the characters have become stale for me and I am still interested in each character’s life and want to see how they evolve. The only thing getting on my nerves the number of times the basics are explained and re-explained in the books. I understand that it is important for each book to be accessible to a new reader who has not read the previous books, but does the entire system for how magic works really need to be explained in great detail in every book? Someone is targeting the city’s magic practitioners, the members of the supernatural underclass who don’t possess enough power to become full-fledged wizards. Many have vanished. Others appear to be victims of suicide. But the murderer has left a calling card at one of the crime scenes–a message for Harry Dresden, referencing the book of Exodus and the killing of witches. Harry sets out to find the killer before he can strike again, but his investigation turns up evidence pointing to the one suspect he cannot possibly believe guilty: his half brother, Thomas. 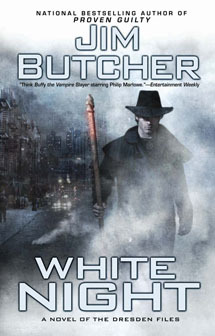 Determined to bring the real murderer to justice and clear his brother’s name, Harry attracts the attention of the White Court of vampires, becoming embroiled in a power struggle that renders him outnumbered, outclassed, and dangerously susceptible to temptation. Harry knows that if he screws this one up, a lot of people will die–and one of them will be his brother. An old bargain has placed Harry in debt to Mab, monarch of the Winter Court of the Sidhe, the Queen of Air and Darkness-and she’s calling in her marker. 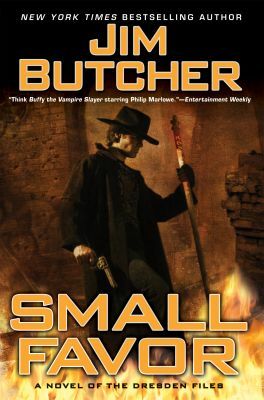 It’s a small favor he can’t refuse…one that will trap Harry Dresden between a nightmarish foe and an equally deadly ally, and one that will strain his skills-and loyalties-to their very limits. I rate these books an 8 out of 10 and look forward to listening to the next books in the series. I found The Unofficial LEGO Builder’s Guide on Amazon on a Tuesday night, on Wednesday I decided I wanted to buy the book during lunch hour. I was on a full impulse need to buy and read the book ASAP. After searching borders.com and finding the local stores did not have the book I searched barnesandnoble.com who had the book online for about $18 and a local store had it in stock. Wahoo! So I hopped into the car and ran of to the store where I found the book along with two other Lego themed books. Sweet! After perusing through the other two books I headed to the cashier with a copy of The Unofficial LEGO Builder’s Guide in hand with a big smile on my face. At the cash register I was told the book was going to cost me $27! What the Frak! I was ready to pay $5 or $6 dollars more due to taxes and such but how could I be expected to pay $10 more than the online price for the same book from the same store. I said “no thank you” and left the book on the counter in front of the sales clerk and walked out of the store. In the car on the way back to work I ordered the book from Amazon via my iPhone and the Amazon app for $17 and it arrived at my house on Thursday two days later. I am afraid that retail brick-and-mortar book stores are now dead to me. I expect I will continue visiting thrift stores and use book stores from time to time, but Barnes & Noble and Borders are dead to me. With an Amazon Prime subscriptions, an iPad with eReader, Stanza, Kindle, and the iBook app I have no reason to put up with the prices that retail book stores are asking. At some point I will rant more about the ridiculous prices that are being asked for eBooks and the childish games that the publishers and eBook vendors are playing with each other.